And lastly, I have really thin fingers and I always get frustrated because most of the rings selling in the market are usually a size 7/8 which I am far from. I have passed on a lot of beautiful rings because they wouldn't fit and now, I don't have to cause I found Ring Snuggies! Ang cool mo talaga :)) <3 I love the DIY and ring snuggies...I should also sell that para sa hindi adjustable rings ko hihi :)) Thank you for the idea!! Thanks for sharing this! 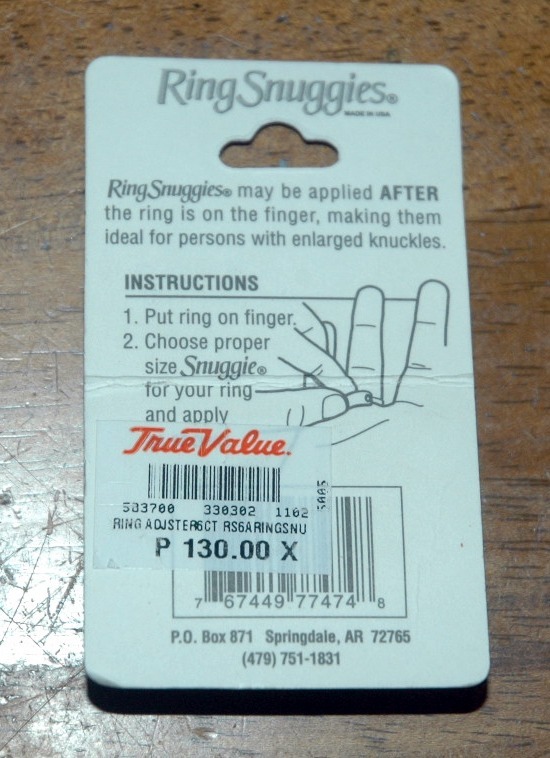 True Value is such a weird place to find ring snuggies! hahaha! oh how neat i had no idea such a product existed! i could definitely use these, there are some cute rings i've seen out there that just dont fit me, this would help! thanks! OOH! I want those ring snuggies! i have the same problem, i've had to pass on a lot of beautiful rings cause i dont find a smaller size... or even worst, i have lost them cause i wear'em to big and end up dropping them anywhere! I wish i could find these here in Argentina! WOW thanks for the idea. You're a life saver!!! I am always frustrated coz my fingers are too small.. rings are always too big!!! great idea!! I have small fingers too so this is the solution!! Omg ring snuggies! What a great idea, I wonder where to find them in my town. wow! that's amazing.. you are very creative! i need me some of those snuggies! my biggest finger is a size 5, so i always hav trouble buying rings that fit. Thank you for sharing this- The snuggies are just what I have been looking for! those ring snuggies are AWESOME! where is true value?? 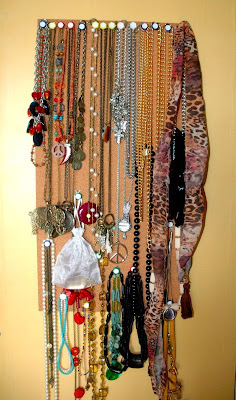 :D and nice DIY of your necklace holder! 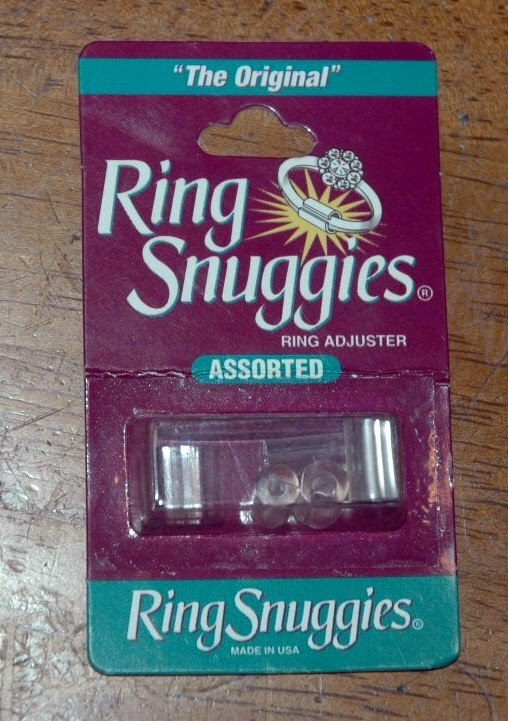 Ring snuggies?! I need to find these! this is genius. i need some.. my fingers are quite skinny so most of my rings are too big for me. Love the cork board idea! 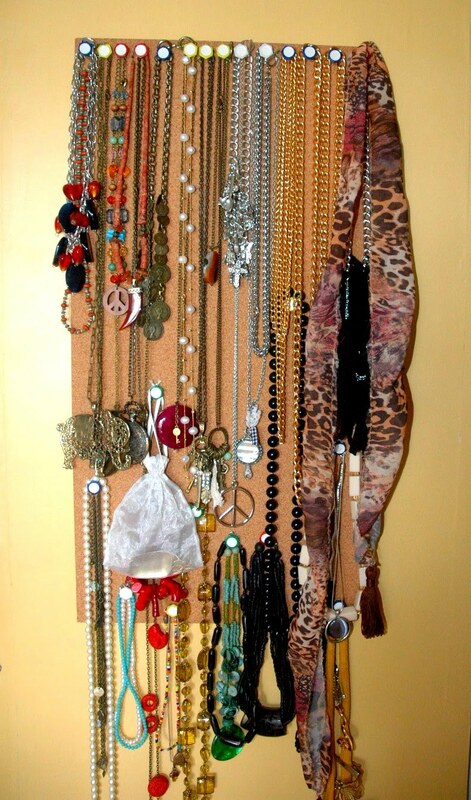 I did something similar with my necklaces until I got a huge jewelry armoire last year! Also, thanks for the info about the ring snuggies! I have larger fingers (size 6 1/2), but as you noted, many rings come in 7 or 8, so they are still sometimes a little loose on me! wow!gonna make use with this stock cork board here! Thanks for that info! :) and yay i love those necklaces! The ring snuggies are a very good idea! I hate when I want rings but they are out of my size!!! Also I like your corkboard idea for the necklaces. I actually have a row of 3M hooks on each side of the mirror, but every now and then they still get tangled, so I'll have to try this approach. I imagine doing something artsy to the corkboard too.